The most economical of our products, the light duty is perfect for around-the-house applications, from squeezing out the last drop of toothpaste to occasional caulking jobs, TubeWringer 202 is your go-to tool. Plan to use your TubeWringer for heavier work? The TubeWringer 205 is perfect to help you get full use out of tubes of hair dye, medical compounds, oil paints, and caulk. 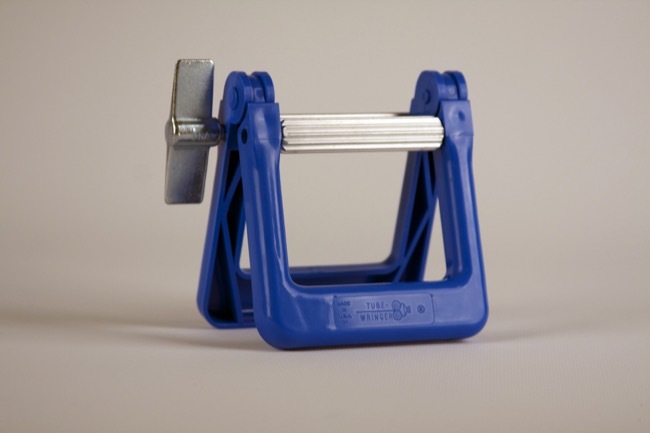 Our heavy duty product is perfect for continual shop or studio use. 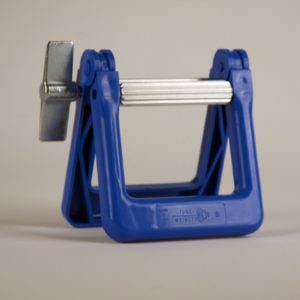 Use the metal rollers to crimp sheet metal, squeeze heavy-duty tubes, and get the last drop out of expensive adhesives. …will be your main squeeze. You may wonder, what is a TubeWringer? This useful tool was invented by John Gill right here in Oregon. He saw that many tubes were thrown out with quite a bit still left in them, wasting tons of useful paint, ointment, toothpaste, adhesive, and more every year. He set out to fix this problem by creating a product which would squeeze out the very last drop of anything inside a tube. He would experiment with “empty” tubes purchased from local children, using his invention to wring out the last bit of whatever was in the tube. 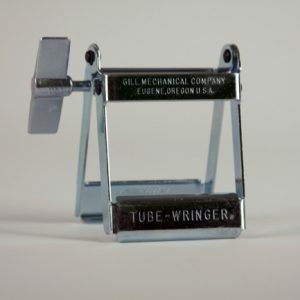 The TubeWringer is still manufactured to the exacting standards set by Mr. Gill. It has been in production for over 38 years right here in Eugene, Oregon, from parts manufactured entirely on Oregon. We have gotten letters and emails from customers all around the world raving about the TubeWringer they purchased over 35 years ago, and see videos and papers sharing new ways to use our always reliable and long-lasting product every day. One customer uses her TubeWringer to get all of the meat out of lobster claws while another has been using it since 1975 to wring out the last drop of paint while creating works of art. All original TubeWringers are built to last. If you’re ready to get one-third more out of every tube in your home, studio, lab, or medical office, you are in the right place. All you need is a TubeWringer! All models accommodate tubes of up to 2 ⅞ inches wide. 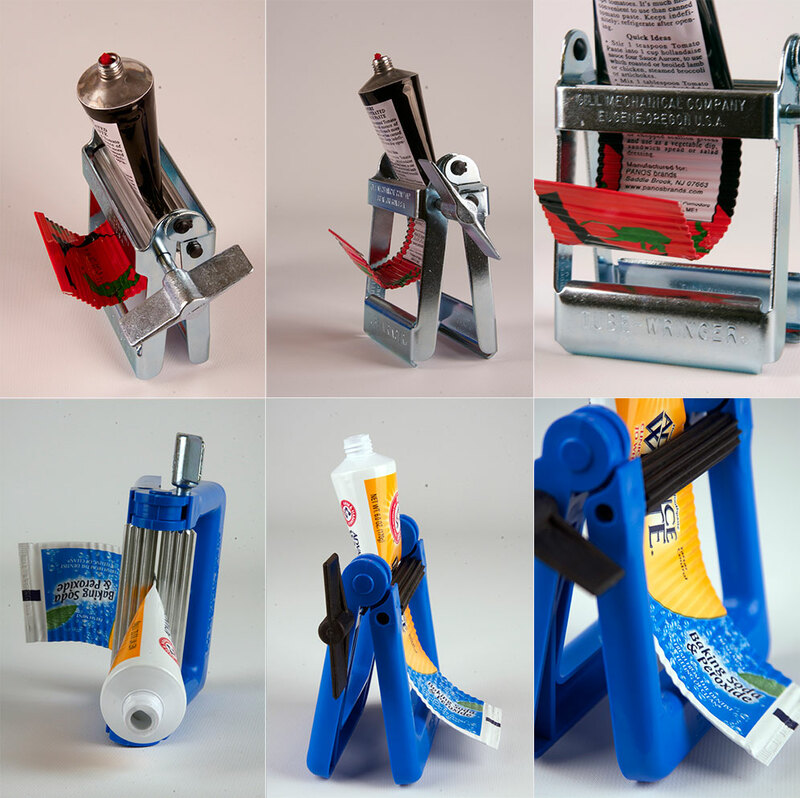 The Tube-Wringer® has uses besides getting every possible drop out of tubes. 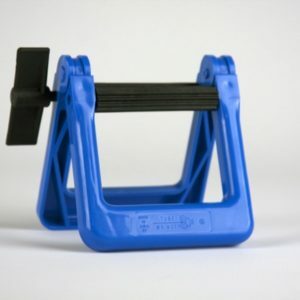 It can also be used as a crimper for craft projects, model train roofs, and jewelry. This tool is easy to clean, all you have to do is wipe or wash it by hand, and it’s ready for your next project. The Light Duty Tubewringer has nylon rollers on the 202 are durable and may well last a lifetime for the occasional user. Our Medium Duty TubeWringer has metal rollers that firmly grasp the tube and ease the extrusion of materials. The No. 401 has a zinc-plated steel frame and metal rollers and is built for repeated, even daily use, for years to come. Have a question? Call us at 541-686-1606. Or send us a message and let us know how we can help. Stay up to date with the latest news from TubeWringer. Get seasonal discounts, special offers and more.